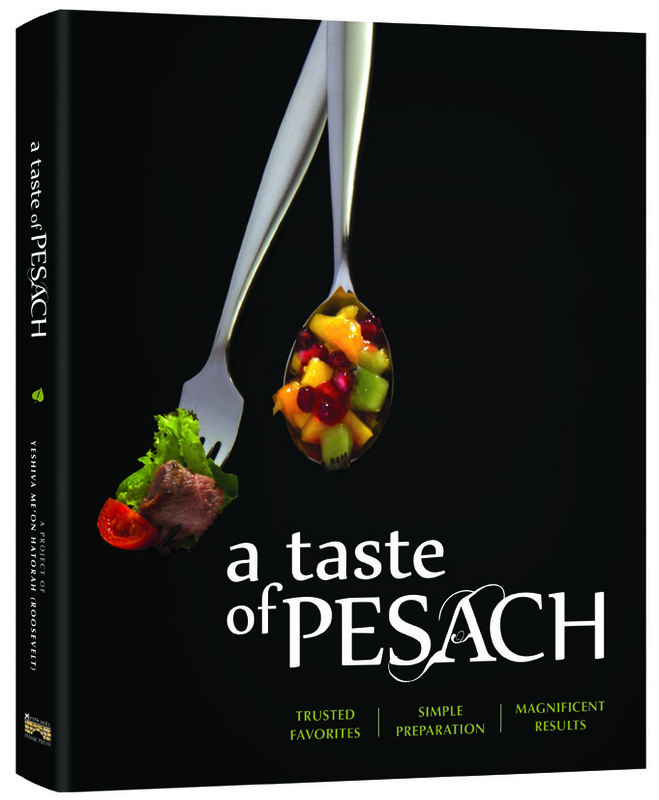 Pesach might seem like it’s way off in the distance, but here at ArtScroll we’re already getting ready for Pesach with a brand new, soon to be released cookbook! Introducing: A Taste of Pesach: Trusted Favorites. Simple Preparation. Magnificent Results. A Taste of Pesach is compiled from the wildly popular mailings to benefit Yeshiva Me’on Hatorah and features over 160 recipes (many of which have never been published before! ), each with a beautiful, full color image. Best of all, over 140 of the recipes are gluten and gebrokts free! Make sure to subscribe to the blog (you can sign up for email on the right sidebar) to get future updates – including free sample recipes from this book! A Taste of Pesach is scheduled for release on March 3rd. Click here to pre-order your copy with exclusive online savings.